In the distant past I bought and loved the now discontinued PC version of this application and I’ve been using this app from the early beta testing stage. This version is even better. 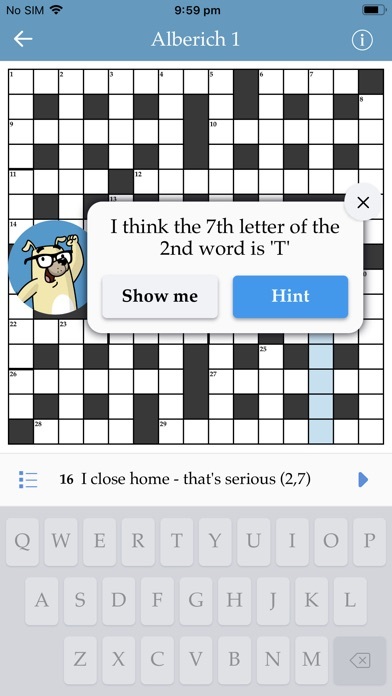 Its ability to scan and convert crossword puzzles into a playable document is a boon freeing you from trying to correct your incorrect answers on newsprint paper and turning it into an unreadable mess. 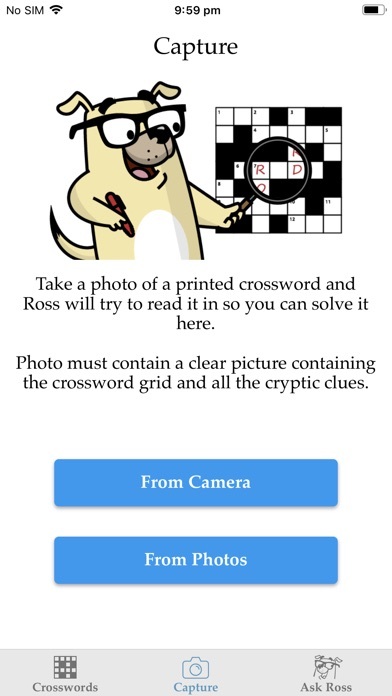 The added bonus is the ‘Ask Ross’ feature for when you get really stuck is a God send. 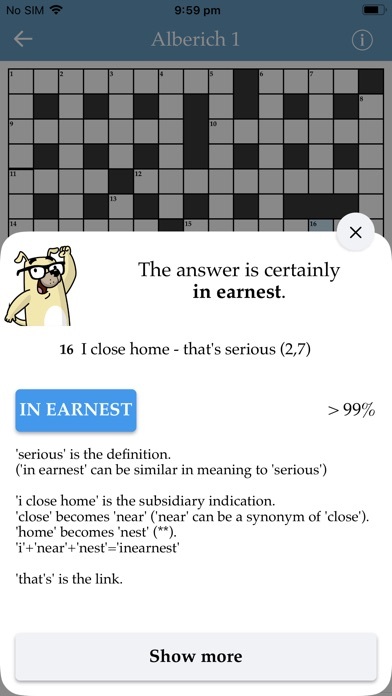 Not only will it provide a solution (or possible solutions) to even the most cryptic questions, it will also provide the rationale for the answer(s) I’m not sure how easy it would be to use on one of the smaller screen smart phones, but on my tablet or larger phone it is just fine. 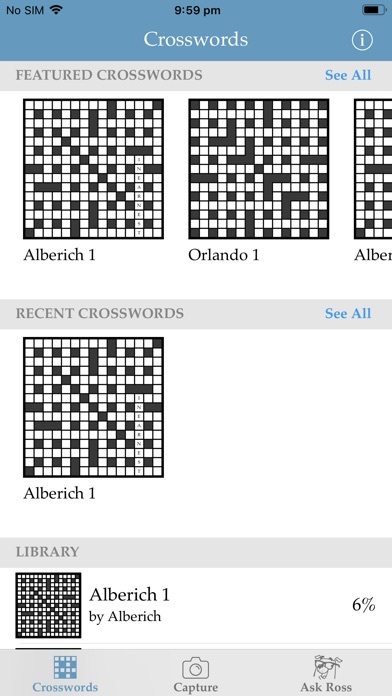 For lovers of cryptic crosswords this is a must have app. A truly brilliant app. Having originally subscribed to the Windows version of this software, the iOS version does not disappoint. I have been a keen fan of cryptic crosswords for many years, and I am constantly amazed by just how clever this programme is. 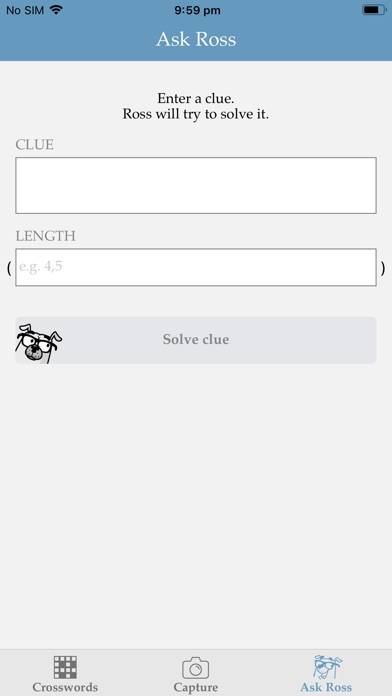 When stuck on a clue, this app more often than not will produce the correct answer in seconds. The only problem is to avoid the temptation to go to this for the answer, rather than spend time wrestling with the clue in the traditional manner! 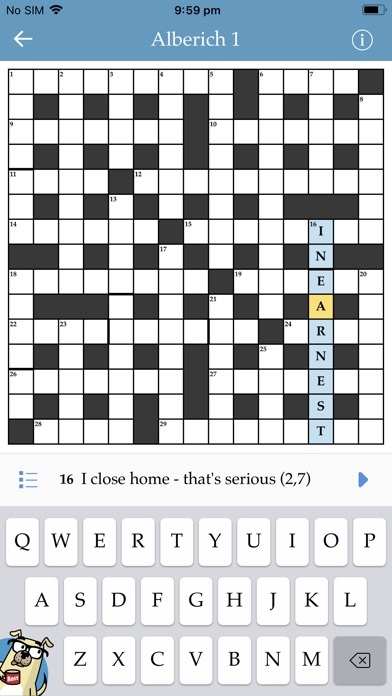 Head and shoulders above any other crossword solver.